Supplement energy and blood. 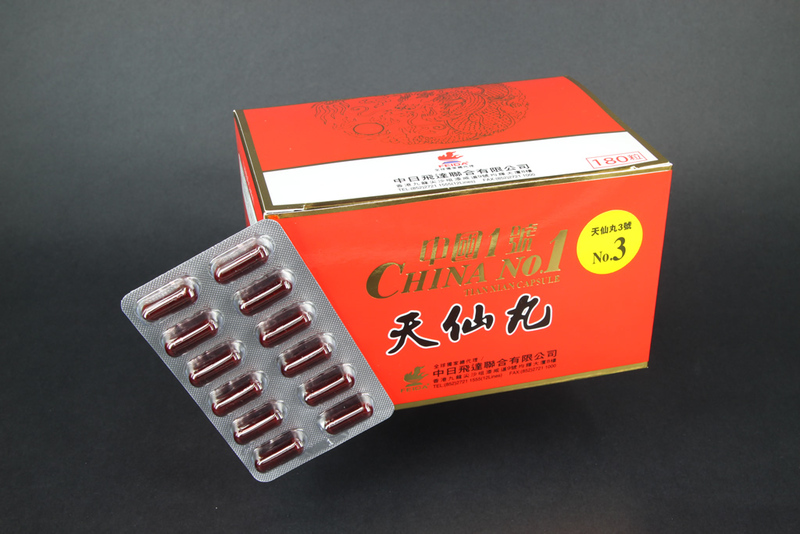 Reduce the reaction and side-effects of chemotherapy and radiotherapy, and may have therapeutic effect with leukemia. 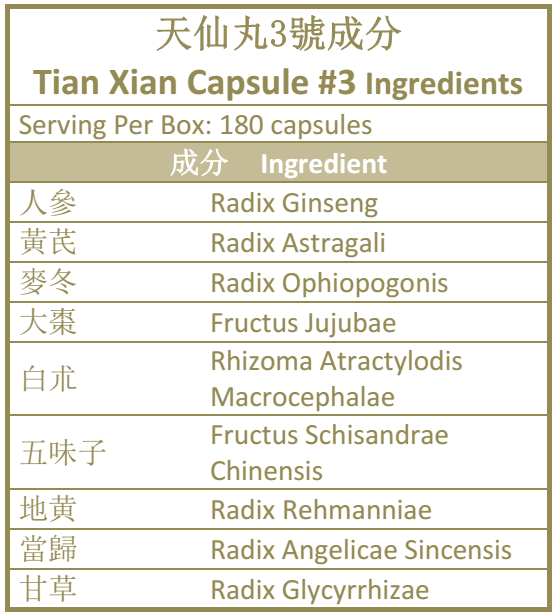 TIAN XIAN Capsule #3 has the function of regulating and supplementing energy and blood to the body. Leukemia, side effects of chemo and radio therapy have biochemical effect that damage the energy and blood. This product may prevent damage and gradually may restore healthy blood, may reduce the side effects of chemotherapy and radiotherapy, and may help reverse leukemia. Radix Ophiopogonis have therapeutic effect on the decrease of leukocyte in mice, caused by cyclophosphane, and radiation on the dogs. The active ingredient extracted from Radix Ophiopogonis has therapeutic effect on reducing side effects of radio and chemo therapy. Oral administration, 3-6 pills each time, 3 times daily, to be taken with lukewarm boiled water before meals.